Luxembourg is one of the smallest sovereign nations in Europe (even though it's 40 times larger than Liechtenstein). 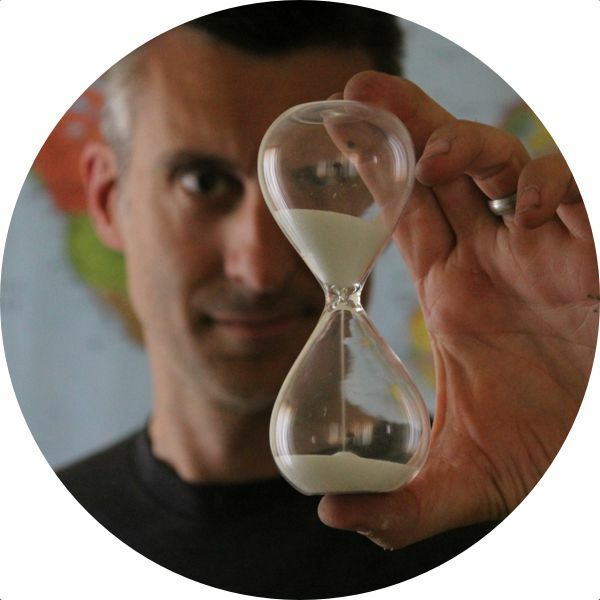 Despite its size, however, it plays an important role in the foundation of Europe—both in ancient times and the modern age. It's also notable—at least to us—for being the ancestral home of one branch of our family. After a long drive the day before followed by a good night's sleep, we enjoyed a free breakfast (the best kind) at our hotel before heading out to visit some of our cousins who live in Luxembourg who took us on a day tour of Luxembourg City. The country of Luxembourg dates back to 963, when Siegfried, the first Count of Luxembourg and the founder of the House of Luxembourg, was looking for a place from where he could defend his vast land holdings. So it was that he found The Bock (Bockfiels in Luxembourgish), a jagged cliff face rising over the River Alzette, which was the site of a former Roman fortification. When looking out over the old city toward The Bock, one of the most striking features of the old city, which is located right across the River Alzette from The Bock, is this rather large former Benedictine abbey. The Bock over the River Alzette with Neumünster Abbey on the right. The abbey (which had been destroyed and rebuilt at least three times) has been used as a lot of different things besides an abbey. It was a police station and prison for awhile, and when the Prussians took over Luxembourg City after Napoleon's defeat, it was used as a barracks for the troops. During the Nazi occupation of Luxembourg it was again used as a prison to house political foes. These days, however, it's open to the public and is used as a meeting place and a venue for cultural events. Anyway, back to our man Siegfried. Being a strategic-minded fellow, he cashed in some of his other land holdings to acquire this strategic European choke-point, where he started building a castle in what came to be known as the County of Luxembourg. Luxembourg became the Duchy of Luxembourg in 1353 when Holy Roman Emperor Charles IV (one of three Holy Roman Emperors from the House of Luxembourg), elevated the land from a county to a duchy and put his brother in law Wenceslas in charge. Over the years, Luxembourg was at the center of numerous European conflicts as other strategic-minded fellows wanted to get their hands on the palce. Because of its central location and strong defenses, Luxembourg was a major target for all the European power players (the Burgundians, the Habsburgs, the Austrians, the Prussians, the Spanish)—all of whom occupied the fortress at one point or another. Each occupying group built improvements to the fortifications of The Bock, work which culminated in the Bock Casemates. The Bock Casemates, a UNESCO World Heritage Site (City of Luxembourg: Its Old Quarters and Fortifications), are a series of rough-hewn tunnels dug through the cliffs underneath what was once the Fortress of Luxembourg. Construction on the Bock Casemates started in the 17th century when the Spanish controlled the region. Casemates are defined as a fortified structure from which guns are fired. The Bock Casemates have all sorts of small windows looking out over the country on either side of The Bock where cannons were placed to defend the area from attack. The Casemates helped the Fortress of Luxembourg earn its famous nickname, "Gibraltar of the North." French forces assaulted The Bock for seven months in 1794 during the French Revolutionary War, and, although the fortress finally surrendered to the French forces, its walls remained intact, prompting one of the Frenchmen to proclaim its defenses are "the best in the world, apart from Gibraltar." All this warring over Luxembourg ended in 1867 with the Treaty of London. The majority of the fortifications were demolished (it took 16 years) and Luxembourg became a sovereign nation with William II, the King of the Netherlands, holding the title of the Grand Duke. Luxembourg later received its independence from the Netherlands in 1890 with the death of William III (again of the Netherlands). 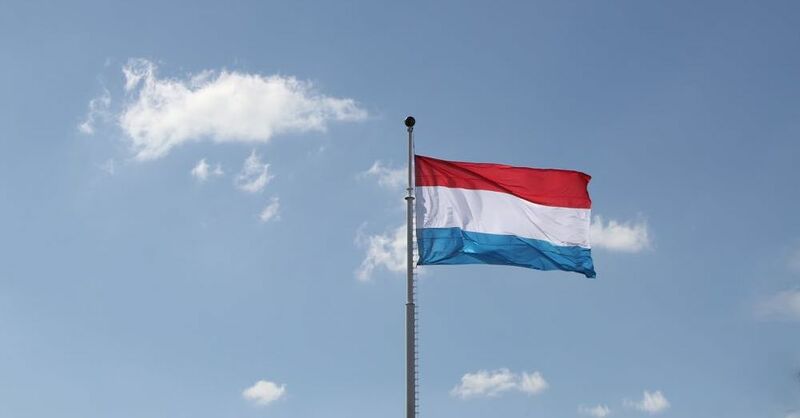 In fact, you may have noticed that the Luxembourg flag looks a lot like the Netherlands flag with the Luxembourg blue just a few shades lighter than the Netherlands blue. The joke is that the Netherlands gave Luxembourg the old, faded flags. Luxembourg is representative democracy, but its head of state is still a hereditary Grand Duke (currently Henri, Grand Duke of Luxembourg) instead of a president or prime minister, making it the world's only remaining Grand Duchy (there used to be many). The Luxembourg Ducal Palace sits right in the center of Luxembourg City. Grand Duke Henri wasn't in when we stopped by (you can tell if he's home because his flag flies when he's in residence), so we enjoyed a gelato break before continuing on to the city's most famous church, the Notre-Dame Cathedral. Earlier on our tour, we stopped by the Church of St. Michael, which is the city's oldest church, which used to be the city's main church—at least until it was surpassed by the Notre-Dame Cathedral, a Gothic cathedral with neo-Gothic interiors also known as the Cathedral of Our Lady of Luxembourg, Consoler of the Afflicted. The cathedral was first built as a Jesuit college, but when the Jesuits were dissolved by Pope Clement XIV, the Church was given to the city and the statue of Our Lady of Luxembourg (an aspect of the Virgin Mary as Consoler of the Afflicted), who had been the patron saint of the city since 1666, was moved inside. We were there during the Octave celebration, one of Luxembourg's biggest religious celebrations, so the chapel and Our Lady were both decked out in all their finery. The crypt underneath the chapel houses the remains of John the Blind, an early Count of Luxembourg and King of Bohemia (now the Czech Republic) and Charlotte, Grand Duchess of Luxembourg (Henri's grandmother) as well as other members of the Grand Ducal family. Across the street from the Notre-Dame Cathedral, in the Place de la Constitution, stands the monument named Gëlle Fra, which is Luxembourgish (yes, it's a real language) for Golden Lady. The golden statue on top of this very tall granite pillar is Nike, the Greek Goddess of Victory. She's holding out a laurel wreath in both hands, crowning the head of the nation. This monument, which is dedicated to the Luxembourgers who volunteered to serve France in World War I, was torn down by the Nazis when they occupied occupied Luxembourg during World War II. It was rebuilt after the war, though, but the golden lady remained lost until 1980 when she was found underneath the Luxembourg football stadium. From the overlook of the Place de la Constitution, you can look out over the Pétrusse River and see the spired tower of the Banque et Caisse d'Epargne de l'Etat, which is impressive, considering the BCEE is a bank. From this vantage point you can also see the iconic Adolphe Bridge. Well, at least you can when the current renovation it's undergoing is complete. The Adolphe Bridge, named after Grand Duke Adolphe (Grand Duke Henri's great-great-great grandfather, who brought Luxembourg into the 20th century) is an arch bridge over the Pétrusse river built in 1903. And even though it's more than 100 years old, the Luxembourgers still call it the New Bridge. While we were there, the bridge was undergoing renovation that's scheduled to last until 2017, so it wasn't all that iconic. After our tour around the city, we went to dinner and returned to our hotel. It had been a long day with a lot of walking, and we had another eventful day ahead of us.